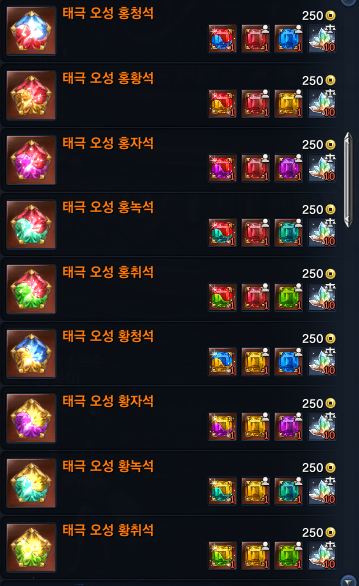 At the last Gem reduction we was able to exchange our gems for new ones plus gem powder. Will we get an exchange this time to? you shouldnt really look at other versions since ours has a lot of things changed. I recall somewhere that the new msp like area had some pvp aspect in it, is that true? Hi! I noticed that in the preview for the lyn warden, both male and female had new hairstyles in the select character screen. Will we be getting those for the other races as well and are any other hairstyles coming with the patch? Which gem exactly are we talking about? As replied earlier Dyad Triangular Gems will be salvageable. There are no plan to have them Antiquated. This please. The droprate of that costume is horrendous, and unlucky people might not see it even drop ever. Add an achievement requirement to buy them, and please add Ravenfall and the mask to a merchant, it's about time. Will we have the same prices as shown in RU? Yes our version of BNS actually doesn't give a flying fk about ppl that play this game. ppl that play activly the game gets cucked everytime a big patch hits while the casuals which login once a week are happy. Yes cost will be the same. I meant if the Octagonal Gems would be Antiquated just like the last time. They won't be Antiquated no. That's just sad, it's been like 1 week since i transmuted them, can i send a support ticket to revert them back? I was wondering, about the reduction of prices/mats etc there would come. u said something about it in stream, but skipped fast over it. - Will there be cost reduction for normal soul - if yes what? - Will there be cost reduction for weapin - yes what - and at what stages? Is that an early April Fools' joke? Pet packs for talisman, and this many? Another whale exclusive item, nice job. Guys just compare the "original price" - 105 TS & 2400g or 140 TS, 70 jewels & 650g (and not 370 pet packs!) and MUCH LESS scales, even after pearls exchange. Will there be any cost reductions for the pet aura at least? Current game economy cannot support that many pet pods, community managers, that actually tried this game have to understand this. Can u discuss with KR developer team more accurate and reasonable price for this item? Upgrading a soul with around 110 oils is more or less fair, cause it has reasonable price via transmute and obtained from events. Pet pods is just f10 item/trove/boxes. none will transmute it. This is unfair price compare to korea version of the game. While yes, our costs are way too high, doesnt mean you can easily compare prices. 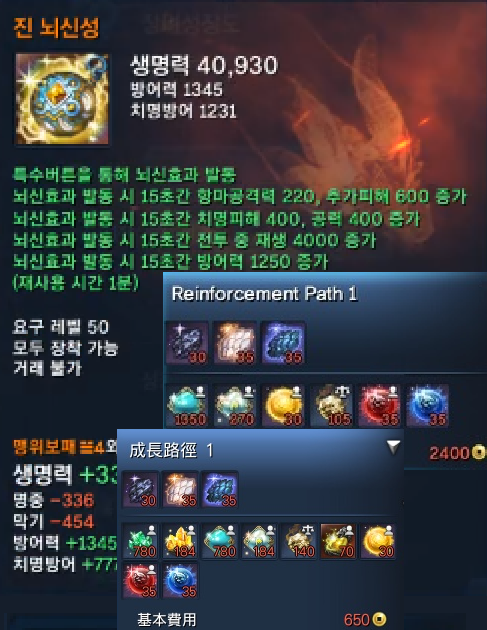 KR has RNG upgrades (every stage can fail several times) for this item. Currently it's possible to buy Hexagonal Gems from the 4th tab(has gem icon on it) of dragon express for 4 Gem Powders for 1 Hexagonal Gem. What we would like to know if that cost will be lowered. Also, will we be able to make a Dyad Obsidian - Garnet this patch too? That is something that should have come with the Dreamsong Theater dungeon patch. And from what I saw here, upgrading the new "Talisman" will require Pet Packs? and very exorbitant amount of Pet Packs? Is that real? or it's a different item with same icon? EDIT: The collection system you've showed on stream required "custom" outfits for the collection of the Dreamsong Theater that is only available from Challenge Mode. Does it really require the "custom" version? or will the normal version that you can get from Hard Mode work too? Did we get Gem Powder again? Give us the option to revert our Dyad Gilded Gems back to Triangulars with the mats we used to fuse them!! Breaking them will make us loose powders! Waiting for the patch will make us loose powders! WHY do you want to make the ppl that actually play this game active suffer????? ?